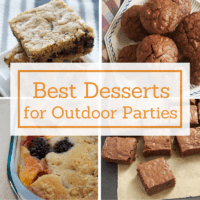 During my time at King Arthur Flour’s Blog & Bake™, I found a new love. Now, don’t worry. Quinn is not going anywhere. I found a new baking love – white whole wheat flour. Sure, I’d seen it before, but I always kind of discounted it and went with traditional wheat flour when needed. But, I found out that white whole wheat flour has all the benefits of whole wheat flour, but it produces lighter-colored baked goods with a milder flavor. There’s red wheat, where we get whole wheat flour, and then there’s white spring wheat, which gives us white whole wheat flour. Once I got back, I got a couple of bags of my new love – one to use now and one for the freezer. The freezer is your and your wheat flour’s friend. If you don’t use up wheat flour quickly, it will go rancid. Freezing will help it stay fresher longer. The first thing on my white whole wheat flour baking list was a recipe that we made at Blog & Bake™. We started our scone-baking with a discussion about how lots of people don’t like scones because they are usually dry and just unpleasant to eat. 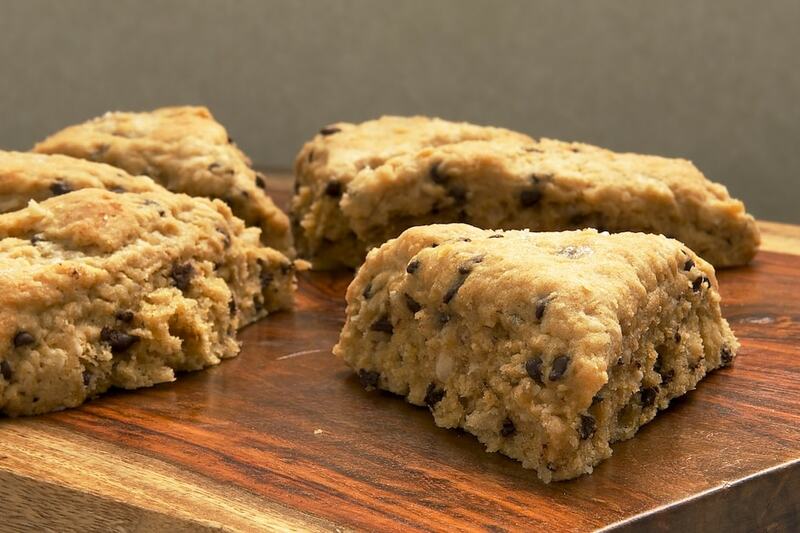 If that’s your opinion of scones, then these beauties will turn you into a believer. They are so soft and moist and just plain delicious. I find them pretty irresistible. In fact, I couldn’t resist eating one of these not long after they came out of the oven. 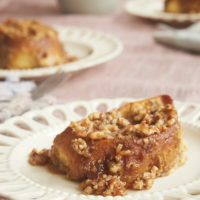 This is an incredibly simple recipe that is great to have in your breakfast/brunch repertoire. All you need is a a big bowl, some measuring cups & spoons, a big spoon, a clean surface, and a pan. You’ll have these mixed up and in the oven in no time. I’ve made these scones a few times since first being introduced to the recipe at King Arthur Flour. It’s one of those wonderfully adaptable recipes that you never have to make the same way twice. Nuts, chips, dried fruits – they all work well in this recipe. Use a different extract or just leave it out. Feel free to add a little ground cinnamon or other spice to the dry ingredients. Get creative and find your favorite flavor combination! Combine flour, sugar, baking powder, baking soda, and salt in a large mixing bowl. Add butter and cut into flour mixture with a pastry blender or a fork until the mixture resembles coarse meal. Stir in hazelnuts and chocolate chips. Whisk together buttermilk, egg yolk, and vanilla. Add to flour mixture, and stir until a dough forms. Transfer dough to a lightly floured work surface. Knead lightly for a few turns. Gently pat the dough into a flat disk about 7 inches in diameter. Cut into 6-8 wedges. Transfer wedges to prepared pan. 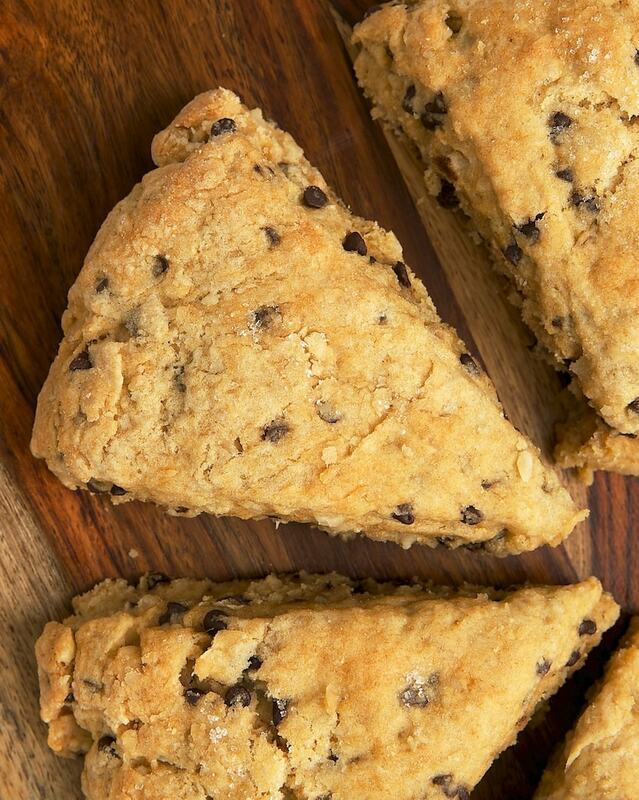 For soft, higher-rising scones, leave the wedges close together in a circle. 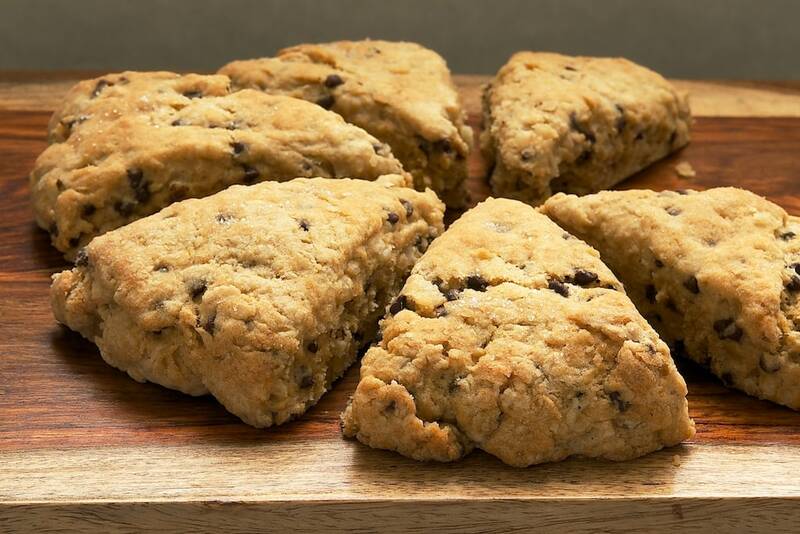 For crispier scones, separate the wedges. Brush with egg white and sprinkle with sparkling sugar or sanding sugar. Bake 18-25 minutes, or until light golden brown. Cool in pan on wire rack. I’m just starting to bake with hazelnuts (not even kidding) and love them!! These sound delightful! ahhh King Arthur flour does have amazing white whole wheat flour!!! And I LOVE hazelnut and choc chips so these are riiight up my alley! I use King Arthur white whole wheat flour often, and I just love chocolate and hazelnut. These look great! Love their white whole wheat flour. I may have to try this recipe. I need to get some hazelnuts. I have a bag of King Arthur whole wheat flour in my pantry right now! Thanks for the great recipe! You and I must have been on the same chocolate-hazelnut wavelength because I made banana bread with that combo today! But…I kind of would rather have had one of these scones. 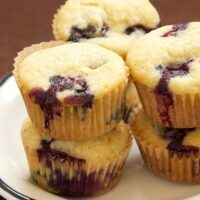 They look like the perfect breakfast treat! What a fantastic breakfast! Love the idea of whole, roasted nuts in the scones. 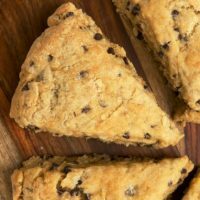 I love chocolate chips, hazelnuts and scones, so this is my kind of recipe! These sounds and look heavenly!!!! 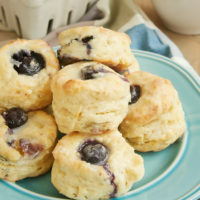 These scones look amazing! I love the idea of chocolate and hazelnut in them! I have made these four times since finding this recipe. It is perfect – a quick, easy recipe that results in a great texture and taste. The scones lend themselves to endless variation – lemon poppyseed, raspberry, cinnamon – but the chocolate and hazelnut is delicious. 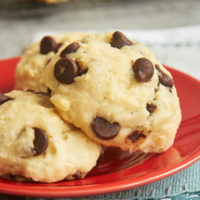 I have been making this recipe for several years now with a few tweaks, I use white chocolate chips and heavy cream (instead of buttermilk). I generally blend some sprouted wheat or oat flour in with unbleached pastry flour (about a 3:1 ratio of pastry flour to whole wheat). Before baking, I dust the tops with some organic granulated sugar and ground hazelnuts (after covering the top with egg whites). 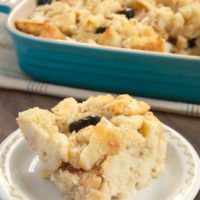 The version of this recipe I use has become quite famous in my small circles. It is a breakfast staple for me. I want to express my gratitude for this wonderful recipe and share my version. It is beyond delicious! I’m glad you like the scones, Andrea. Thanks for sharing your variation!